Colocation is a popular choice for companies looking to move storage off-premise and shift the cost of maintaining data center hardware to a professional storage facility. 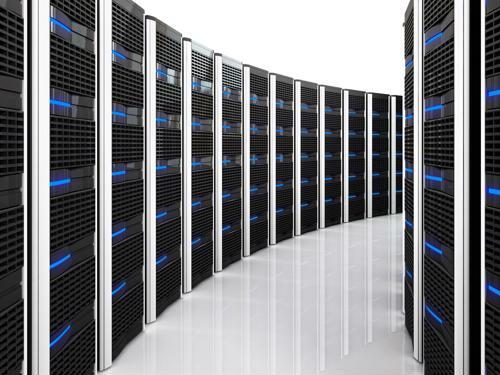 While top colocation centers specialize in maintaining 24-hour connectivity for clients, no company is perfect. According to Data Center Dynamics, a 2013 Emerson-Ponemon study revealed that 95 percent of data centers experience unplanned downtime - even servers run by tech leaders like Google and Amazon experienced performance hiccups. IT teams can avoid a nasty worst case scenario by assessing which data their business needs access to with no interruptions. Likewise, companies storing extremely confidential customer data must weigh the risk of a colocation security breach against the cost of storing crucial data in a separate location. While colocation services are ideal for storing a lion's share of company files, those firms with extra sensitive data should consider developing a backup plan. While colo providers are able to ensure physical separation from a client's data and the rest of the service's racks, they can't guarantee that an incident involving one client might not spill over to impact another. CIO warned that in a world with rising cyber attacks, including a record-breaking 400 Gbps DDoS attack in 2014, IT teams would be naive to assume that an attack on another organization sharing physical space in a colo facility might not threaten their own data. Likewise, if a colo center is put out of commission by a natural disaster, customers may be forced halt business operations until their storage provider goes back online. In a recent interview with Data Center Knowledge, BT Americas CTO Jason Cook emphasized that's there's plenty that goes on behind the closed doors of colo facilities that would have customers up in arms. Cook said that he and his team regularly do spot checks on potential colocation partners, showing up at their facilities unannounced and testing their security measures by strolling into secured areas and gaining direct access to customer files. The anecdote illustrates that in cases where a company's data absolutely must not be compromised, trusting a colocation center may not be the best solution. If possible, companies can devote a some square footage on-premise to business critical apps and client data. Alternatively, if a business operates multiple office buildings, important data can be stored at a smaller facility and accessed via a remote console server. Perle's wide range of 1 to 48 port Perle Console Servers provide data center managers and network administrators with secure remote management of any device with a serial console port. Plus, they are the only truly fault tolerant Console Servers on the market with the advanced security functionality needed to easily perform secure remote data center management and out-of-band management of IT assets from anywhere in the world.